The compass. A simple yet life-giving tool for wanderers and adventurers. In my hands . . . useless. Sure, I know it points North, but what is North? I don’t even know which direction my house faces. My mind is not calibrated to a compass. I don’t use one, so it’s unfamiliar to me. Yet for one who lives by it, a compass can literally mean the difference between life and death. Or the difference between coming out of the wilderness in New York City or somewhere in lower Alabama. Most of us would be lost if we had to navigate out of the wilderness with a compass. The Holy Spirit has been compared to a compass, but what does that mean? If a real compass is useless to me, is the Holy Spirit also useless to me? The Holy Spirit is the means by which God reclaims His people and reorients them around knowledge of Him. The Holy Spirit opens the eyes of the blind and unstops the ears of the deaf. The Spirit reveals Jesus to those the Father gives to Jesus and enables them to follow Jesus. I will give them an undivided heart and put a new spirit in them; I will remove from them their heart of stone and give them a heart of flesh. Then they will follow my decrees and be careful to keep my laws. They will be my people, and I will be their God. ‘Be strong, do not fear; your God will come, he will come with vengeance; with divine retribution he will come to save you.’ Then will the eyes of the blind be opened and the ears of the deaf unstopped. No one can come to me unless the Father who sent me draws them, and I will raise them up at the last day. . . . This is why I told you that no one can come to me unless the Father has enabled them. If you love me, keep my commands. And I will ask the Father, and he will give you another advocate to help you and be with you forever— the Spirit of truth. The world cannot accept him, because it neither sees him nor knows him. But you know him, for he lives with you and will be in you. The Spirit of Truth reveals Truth to the believer by internal programming. By the Holy Spirit, God writes His laws on the hearts of His chosen people. This is the covenant I will establish with the people of Israel after that time, declares the Lord. I will put my laws in their minds and write them on their hearts. I will be their God, and they will be my people. No longer will they teach their neighbor, or say to one another, ‘Know the Lord,’ because they will all know me, from the least of them to the greatest. For I will forgive their wickedness and will remember their sins no more. God sends the Holy Spirit into the hearts of His people, and then the Spirit reveals and points the believer toward God. The above is why the Holy Spirit is described as a compass. Where the analogy breaks down, however, is that the Spirit is not an external compass, like a man-made compass, which is difficult to navigate with, absent training. The Spirit is an internal Compass, who points the believer to the path of righteousness. As wonderful as this Spiritual indwelling is, the believer must still calibrate his mind with this Spiritual Compass. While the Spirit reveals truth to the believer, He does not make the believer follow the path of truth. The Spirit is a lamp to the feet. Psalm 119:105 (“Your word is a lamp for my feet, a light on my path.”). The believer must follow the light. Paul tells us that we must follow the Spirit’s lead; the Spirit doesn’t do the work for us. We must learn to recognize and listen to the Spirit and drown out the world. I was prompted to write on this topic by an article titled Heart Aches posted on the Jeffrey H. King’s Blog, in which he discusses the heart and the brain and the similarity of the cells. He then discussed how scripture talks about the heart of man as a living and breathing organ that works like a second brain. I thought that painted a really cool picture. Mr. King is absolutely right that scripture speaks of the heart a lot. As shown above, God talks about reforming the heart from one of stone into one of flesh and of sending the Spirit into the heart as a Guide. By the “heart,” I believe scripture is referring to the soul of man, the internal influence that drives him in one direction or another. I believe scripture analogizes the soul with the physical heart, because the physical heart is the biological core of all systems within the body and gives life to the entire body. None of our biological systems would function without the blood pumping work of the heart. The heart is distinguishable from the brain in that the heart is not adulterated by logic or reason. We have God’s laws written on our hearts like default settings. Where man louses it up is when the brain intervenes. By our brains, we interject personal beliefs and opinions, apply human wisdom and reasoning, and cozy up with experience. This is where we drift, when we choose what seems rational based on human experience over what God reveals to us to be true. So, our spiritual path involves calibrating our brains with the internal Spiritual Compass–i.e., conforming our wisdom and reasoning with the Spirit of Truth. This can be difficult, because the wisdom, reasoning and values of the world often differ from our internal Compass. How many of us have experienced Paul’s frustration? When we know what is right but still take the wrong path? As Paul said: “I do not understand what I do. For what I want to do I do not do, but what I hate I do.” Romans 7:15. The great news here is that we are not lost in the wilderness with a guidance tool we do not know how to use. We are set by default to follow North. This is the “heart” of the Gospel. Our challenge is to reorient or calibrate our minds with the internal guidance of the Spirit. Just as Boy Scouts take orienteering training–learning to navigate according to a compass–believers must train their minds to follow the Spirit. It takes a lifetime of practice, with failures and successes. But the Spirit living in our hearts is a guarantee that we will persevere. Linked up with Grace & Truth. Previous When Your Cell Phone Needs a Seat Belt. Amen! I’m with you, a compass doesn’t do me much good. But thankfully, the Holy Spirit does the work for me as I lean upon the Lord for EVERYTHING!!! Ha! That sounds kinda funny coming from expert travelers–travelers who don’t know how to use a compass. But it’s so true for many of us. Even when we travel, we have GPS to show us the way. I, for certain, would be perpetually lost without my car’s GPS. So God gave us our own internal GPS! Lol! My husband has his own internal GPS, but never being a Boy Scout or in the military, he didn’t learn how to use one. We do use a GPS as we drive though. He bought a compass to help set up our satellite and that’s when he learned he couldn’t use one! That is so funny. Technology, which is supposed to represent human advancement, often makes us stupider (yeah, I know that’s not a word). Amen. That’s why it is so important to have daily intake of the Word. This is how we calibrate our mind. Romans 12:2 And be not conformed to this world, but be ye transformed by the renewing of your mind, that you may prove what is that good, and acceptable, and perfect, will of God. Yes, the Word is key. I almost got into that, but there are so many things that train us, I didn’t want to make the post any L O N G E R. 😉 Daily study is the best orienteering we can do. Blogging also helps me, because I have to sort through my beliefs in order to make them clear on “paper.” Plus, I love it when people challenge me in comments or give me a new perspective. I played a few social games on my phone for a few years, always formed Christian groups, and it was amazing to me to see what remote corners of the world God operates in. I never thought about it until Clash of Clans and Plunder Pirates. I’m still in contact with quite a few of those people even though its been a long time since I played. How did I get off on that tangent? Oh yeah, there are so many ways to enrich oneself spiritually, even non-traditional venues like games. Seek God everywhere. Amen. How long have you been blogging? It is true though, blogging helps me to codify my beliefs, and it makes me too, defend my beliefs biblically, which is a good thing. Not long at all. My first post in February or March. Wow! I am impressed. I started in January. I think the Holy Spirit is not appreciated enough. Most of the attention of Christians is focused on the Father and Jesus, the Son, but “getting to know” the Holy Spirit years ago totally transformed my life and made my relationship to the Father and the Son much more rich and personal. Near Pentecost I will be posting a wonderful dream I had about the Holy Spirit. Thank you for your great post about this wonderful Friend and Counselor, Companion and Guide…and yes, Compass! I never paid much attention to the Holy Spirit until I delved into Reformed Theology. The role of the Holy Spirit is so overlooked or misunderstood by so many. 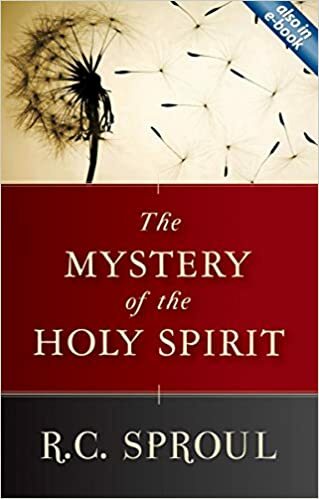 But reading from Genesis to Revelations, the Holy Spirit permeates throughout and ties everything together, painting a beautiful picture of God’s redemption of His people. And many want this “personal relationship” with God, like dining with friends, but the Holy Spirit indwelling is as personal as it gets. Some think they don’t have a relationship with God because He doesn’t “speak” to them, so they get discouraged. But this truth of the Compass is evident by the person’s faith. Right there is God’s personal relationship. I look forward to your Pentecost message, and thank you for your feedback. Wonderful post! We rely more on our own compass than on the Holy Spirit. Your blog reminds us to focus not on us but on the Holy Spirit! Many Blessings! Yes! Thanks for your feedback. We must never forget the importance of the Holy spirit in our lives! One of the most overlooked parts of faith, and yet, probably the most important, because, without the Spirit, there would be no faith. Thanks for reading! Wow. You cover a lot here. Have you read one of my pieces titled “Jesus as GPS”…it’s on TheViewfrom5022,wordpress.com about the 22nd or 23rd essay in the list down the right. Very similar topic. I think you’ll like it. When you write that the Holy Spirit will lead but does not do all the work, I was struck with the truth that one can not be lead if one is not moving. The Holy Spirit will not move us if we are determined to stay right where we are. I will look for that essay for sure. Funny, cause I just typed a response to a comment above about GPS. Then I read your comment. And, you are very right about remaining stationary. I read a Blog a few days ago about not parking in a parking place along the spiritual road. Back to your comment, there can be no growth without movement. So we need to actively pursue our orienteering. Thanks for your comment and your article suggestion. I will review this evening. Thanks for the link! “Well, definitely not Albuquerque.” Etc. Wow really inspired by your post! The Holy Spirit is indeed our compass in life. It can give the directions, but provided we are equipped to understand and willing to follow them. Thank you! Nice. Your articles, in their simplicity, relevance & scripture, comfort me. I don’t attend church anymore so these also fill a need for that hearing of the word. Perhaps commonly if not too pragmatically, I have difficulty sensing how the Spirit leads me; or I find myself falling into a brain-reaction before even taking time to be led. It’s good to be reminded why that happens/how to improve. This article reminded me of a rare event I’d almost forgotten. It was the closest I can imagine anyone coming to being personally accompanied by the Spirit. As difficult as He seems (for me) to connect with sometimes, that was the one time we actually sat down at a table together. I love that memory. Thanks for doing what you do here. Thank you for your kind words and am glad my writing benefits some. I do try to keep the message simple because most coming to blogs aren’t coming to read a book. As a lawyer, I tend to dissect and over analyze. Blogging forces me to be more simplistic and concise. I’m still working on the latter. 😬 But hey I’ve only been at it a couple of months. Thanks for following and contributing! I love discussion, even critique. I suspect your blogging will greatly aid your lawyering and vice versa. That explains your approach. Though often wondering what good it does, it’s been said my gift is “administration,” likely going to my appreciation of your blogs. I love dissection and analysis. If I can’t over-complicate something then it’s hardly worth contemplating – haha. I’m drawn to yours before remembering their faith-based character (and probably wouldn’t come just for that), so they’re a pleasant surprise. Your good writing draws me in. A wonderful talent. I hope you’ll stay with it. Is that your article? The source is confusing on my phone. Yes. Your blog here inspired writing of the memory (sitting at the table with the Holy Spirit). It was so profound, I love that memory. Thank you again. Very moving post by SITR. I highly recommend all reading it. Thank you. We are to encourage each other. Great post! The Holy Spirit doesn’t get nearly enough attention! Our Sunday School class read Francis Chan’s Forgotten God a couple of years ago, and it was such a good read focusing on the significance of the Holy Spirit. Second recommendation for that book on this thread. Looks like I’m headed to the book store! I saw the first comment after I posted! I love Francis Chan! And your blog is wonderful! Nice post, and nice comments – don’t need to say more because we’re all agreeing here! Thanks for writing this. Great post! I like thinking of the Holy Spirit as a Spiritual Compass. The Holy Spirit is such a difficult thing to explain to non-believers. I think Spiritual Compass is a great start. He truly is “forgotten” as mentioned by other commentators above. People might think of the Spirit when it comes to spiritual gifts, but lots overlook how instrumental He is in faith and resurrection. AMEN!!! Tremendous job on this post and a real life lesson that we should all give our attention. This is fantastic, I love all the scripture tied in together. One of my favorite parts was this, “The great news here is that we are not lost in the wilderness with a guidance tool we do not know how to use. We are set by default to follow North. This is the “heart” of the Gospel.” YES!! Thank you so much for linking this up with us at Grace & Truth! What an honor to read some of your stuff, I hope we see more of you! The Holy Spirit is our true guide. Every day I pray that all my actions, words, and thoughts are always guided by the Holy Spirit. Thanks for the follow. Happy to know you. You’ve got an interesting blog.